Ryan Selwood has been the managing director and head of direct private equity at the Candian Pension Plan Investment Board since 2006. Previously, he was vice president at Merrill Lynch & Co. in the Financial Institutions Group in the Investment Banking Division in New York. He currently serves on the boards of Antares Capital, Ascot Underwriting, Dorna Sports S.L. and Wilton Re. Selwood holds an MBA and law degree from York University and a B.A. from the University of Western Ontario. Steve Moseley is the director of private equity and special opportunities at Alaska Permanent Fund Corporation. Moseley manages approximately $11.5 billion and is responsible for leading all activity related to private equity fund investments, co-investments, as well as direct investments. Previously, he rebuilt and sold Marston-Ross Corporation. In addition, he has experience in diversified private markets, direct investments, private equity investments, and held titles such as chief investment officer, investment banker, vice-president, and co-president at organizations including StepStone, Pacific Corporate Group, Credit Suisse First Boston and Merrill Lynch. He holds an MBA from Yale University and a bachelor's degree from Wesleyan University. John Beil is the director private equity at the University of California, where he is responsible for buyout, venture capital, special situations and co-investments. Prior to joining the University of California, he was a senior associate at IFC Asset Management Company LLC, an investment officer at the International Finance Corporation in The World Bank Group and an analyst at Citigroup. Beil an MBA in finance and international business from George Washington University and a B.A. in philosophy and communications from Tulane University. Neil Randall is the director of private equity at Teacher Retirement System of Texas. Before starting his position in 2007, Randall served as an associate at Convergent Investors, an associate at Dell and as an analyst at PricewaterhouseCoopers. He holds an M.S. and BBA in finance from Texas A&M University. John Heneghan is the director of alternative investments at Equity Group Investments, where he overseeas a large portfolio of private equity and hedge funds for Sam Zell’s investment firm. He also serves as the president and founder of Servant Financial, Ltd., a registered investment advisor. Prior to joining EGI in 2005, he served as the chief financial officer for CNA Surety and controller of Capsure Holdings, two NYSE-listed insurance companies. Heneghan holds B.S. in accounting from the University of Illinois. Michael Bailey is the director of private equity at Massachusetts Pension Reserves Investment Management (PRIM). He has a quarter century of experience in private equity investing. Prior to joining Mass PRIM, he was the director of manager selection at HighVista Strategies and director of private equity at Lucent Asset Management. Bailey holds a B.A. in economics from Northwestern University. Margot Wirth is the director of private equity at California State Teachers' Retirement System (CalSTRS). Prior to her current position, she held the title of portfolio manager and investment officer at CalSTRS between for nine years. Earlier in her career, she held titles such as manager of the financial advisory PricewaterhouseCoopers and vice president of 3-E Development Corporation. Wirth holds a B.S. in chemical engineering from the University of Virginia. Jeremy Kranz heads GIC's Technology Investment Group (TIG), a global team with offices in Silicon Valley, China, and India. TIG invests directly in private and public technology companies, and also serves as a limited partner in top-tier tech funds. TIG’s mission is to forge long-term financial and strategic relationships with its global partners. The team is particularly focused on helping its portfolio companies, entrepreneurs, and fellow asset managers navigate opportunities associated with tech disruption. Kranz holds an MBA in finance, entrepreneurship and decision sciences from Northwestern University-Kellogg School of Management and a BSIE in industrial engineering and engineering economics from the University of Wisconsin. Mo Mooers is the assistant senior investment officer of private equity at the Washington State Investment Board, where he's responsible for the evaluation of commitments to private equity funds and monitoring the portfolio of LP investments. Previously, he was the vice president of private placements at Genworth Financial for nearly 10 years. Mooers holds an MBA in finance from the University of Washington and a B.S. in construction engineering management from Oregon State University. Josh Stern is the director of private investments at the Robert Wood Johnson Foundation, where he is responsible for all areas private equity investing including venture, growth and buyout as well as private credit and private energy and real estate. Previously, he was an advisor for Antartica Capital and the director of private investments from Rockefelller University. Prior to that, he was the director for Standard & Poor's. Stern holds an M.S. in management and non-profit management from New York University, and MPA in public finance from Syracuse University and a B.A. in history and sociology from Binghamton University. Michael Aswad joined the Robert Wood Johnson Foundation’s private investments team in 2007 and became its leader in 2012. Previously, he was a managing director at Banc of America Securities, where he led a diversified financial institutions investment banking team. Prior to that, he was a vice president at JP Morgan where he worked for over 15 years. Aswad holds an MBA in finance and a B.S. in economics and business, both from the University of Chicago. Sam Hassan is the managing director of investment management at Capital Wealth Advisors. Previously, he served as principal of global special situations at Abu Dhabi Investment Council, where he covered private investments in technology, healthcare, consumer, banking, private lending and regulatory capital. Previously, he was the chief investment officer at Anwaar Majan, Oman’s first sovereign wealth fund. Hassan was fund manager at Duet, managing director and founder at Darley Advisors, managing director at Fortress Investment Group and principal at Abraaj Capital, a hedge fund. Hassan holds a bachelor’s degree in economics from the University of Michigan. Travis Haney has been a senior portfolio manager of alternative investments at the State of Michigan Department of Treasury since 2010. Previously, he was a portfolio manager at Coe Capital Management, LLC and a securities compliance examiner at the U.S. SEC. Haney holds a BBA in finance from Western Michigan University - Haworth College of Business. Peter Murphy has been the senior investment officer of private equity for the Virginia Retirement System (VRS) since 2010. Prior the joining VRS, he was a partner at StefanJames Advisors LLC and a director in the merger and acquisitions department at PricewaterhouseCoopers. Murphy holds a bachelor's degree in accounting from the University of Notre Dame. 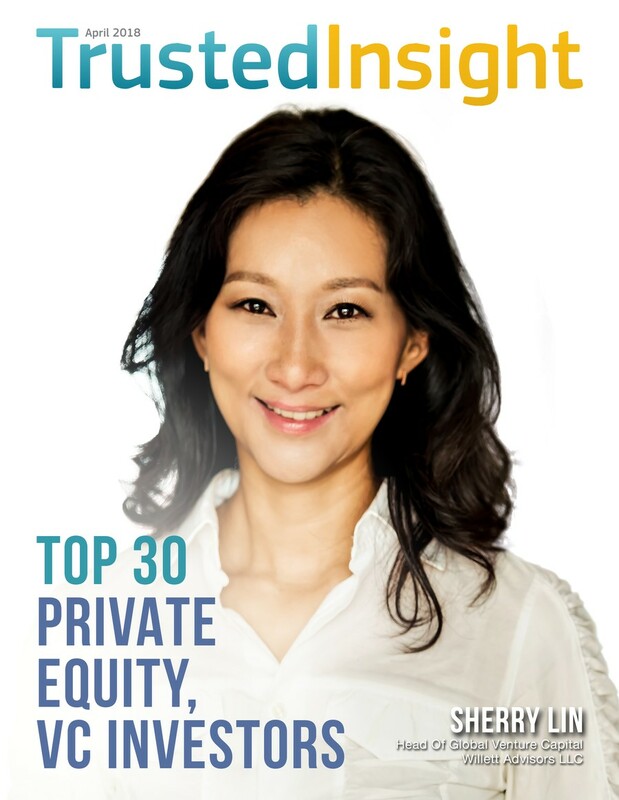 Sherry Lin is the head of global venture capital at Willett Advisors, which manages the philanthropic assets of Michael Bloomberg. She leads Asia stragies and is opening Willett's Asia office. Previously, she was a board director of Lumiere Cinema and ADEN Services, and an advisory board member of over 10 venture capital and private equity firms, a majority of which she anchored as one of the first institutional investors. Lin holds an JD and MBA from Kellog School of Management/Northwestern Law and a B.A. in english literature from Columbia University. Daniel Crews is the director of private equity investments at the Tennessee Consolidated Retirement System (TCRS), a division of the Tennessee Department of Treasury. Previously, he served as the portfolio manager and interim director in the private equity program at TCRS, where he held 15 years of expereince in managing equity and cash portfolios for the department. Crews holds a master's degree in financial economics from Middle Tennessee State University. He also received the Certified Financial Analyst designation. Chris Eckerman is the senior investment officer of private equity direct investments at State of Wisconsin Investment Board (SWIB), the ninth largest U.S. public pension fund. Previously, he was a director at Covera Ventures, an early-stage technology venture capital fund. Eckerman holds an MBA and a BBA in finance from the University of Texas at Austin. Steve Price is the senior investment officer in global private equity at the School Employees Retirement System of Ohio. He is responsible for building and maintaining an international, high caliber private equity portfolio, selecting and monitoring the fund’s investment managers and assisting in the hiring, training and development of junior staff. Previously, he served as the interim director of investments during the fund's transition in leadership following the retirement of SERS' longtime director of investments. Tanya Kemp is the director of private equity at the San Francisco Employees' Retirement System (SFERS). Previously, she served as a senior portfolio manager and investment analyst at SFERS. Prior to that, she was an investment risk and performance analyst at the Missouri State Employees' Retirement System (MOSERS). Kemp holds an M.S. in international economics from Kyiv National Taras Shevchenko University and an MBA in finance from the University of Missouri-Columbia. Tim Moore is the director of private equity at the Colorado Public Employees' Retirement Association (COPERA). He joined them in 1996, and has worked on the alternatives staff since 1999. Previously, he worked for Kidder Peabody & Co., a securities firm established in Massachusetts. Moore holds a bachelor's degree from the University of Colorado. David Chu is a private equity investment officer at the Los Angeles County Employees Retirement Association (LACERA), the largest county-level public pension plan in the U.S. LACERA has over $50 billion of assets under management, of which the private equity portfolio comprises roughly 10 percent. Previously, he was a co-founder and managing director of a China-based investment banking advisory firm which advised Chinese companies on capital raising and M&A. Earlier in his career, David worked in venture capital at Idealab, investment banking at Schroders and corporate finance at Arthur Andersen. Chu holds an MBA from Cornell University and a B.S. in business administration from the University of California, Berkeley. Andrew Kelsen serves as a portfolio manager of alternative investments at Public School Teachers' Pension & Retirement Fund of Chicago since 2014. Kelsen has over 30 years of broad investment and global capital markets experience. He has held senior roles in consulting, trading, portfolio management, project finance, market making, structuring, product development, compliance and management. At Chicago Teachers, he focuses on private equity, natural resources, private debt, cash management, asset allocation and operational optimization. John Shue has been the managing director of private equity at Harvard Management Company since 2006. Prior to Harvard, he was the president at Mongoose Media and vice president at Audax Group. Shue holds an MBA from Harvard Business School and B.A. in history from Harvard University. Christopher Schelling is the director of private equity at the Texas Municipal Retirement System (TMRS). Since joining TMRS, he designed IPS for private equity, hired consultants and staff, sourced over 500 general partners and committed $1.4 billion across 30 limited partnerships. Previously, he was an adjunct professor of finance at the University of Kentucky and the deputy chief investment officer at the Kentucky Retirement Systems. Schelling holds an M.S. in financial markets from the Illinois Institute of Technology, an MBA from the University of Illinois at Chicago and a B.S. in LAS and psychology from the University of Illinois Urbana-Champaign. Kristi Craig is the director of private markets at Georgetown University Investment Office. Previously, she was the senior vice president of business development at Small Business Investor Alliance, a premier organization of lower middle market funds and investors. Prior to that, she was a senior investment officer at US SBA for nearly 9 years. Craig holds a B.A. in economics from Georgetown University. Janet Yang Devinney is the investment director at Kamehameha School's $12+ billion educational endowment, which was founded and endowed by the Legacy of Princess Bernice Pauahi Bishop. The endowment supports the education of children in Hawaii. Previously, Devinney was a partner at Novak Biddle Venture Partners, providing capital to early and growth stage innovation companies. Prior to that, she was a director of public equity research at Citigroup Asset Management. 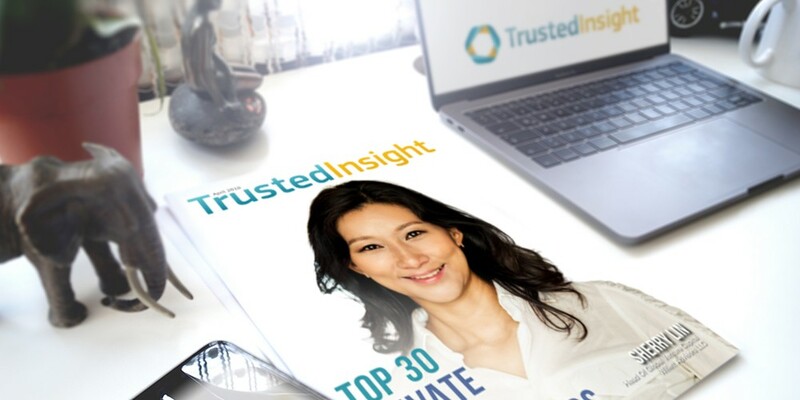 Devinney has a global investing background having worked in China for over 10 years where most recently she was the CFO of Hong Kong’s largest telecom company, PCCW’s Internet Services Division and Executive Director of Business Strategy. Devinney is multi-lingual, fluent in three dialects of Chinese and holds a bachelor's degree in electrical engineering from Stanford University. Michael Langdon is a senior investment officer of private equity at Oregon State Treasury. Previously, he was the head of Americas at Hermex GPE and a senior investment officer of private equity at the Pension Reserves Investment Management Board. Prior to that, he was a senior invesmtment analyst at Tandem Financial Services. Langdon holds a B.S. in financial management from Clemson University. John Bradley has been a senior investment officer of private equity at the Florida State Board of Administration since 2013. Previously, he was the director of private equity for the State of Florida for more than 12 years. He holds and MBA and B.S. in finance from Florida State University. Alexandre Décary is the director investments of private equity at Caisse de Dépôt et Placement du Québec. Previously, he served as a senior director of private equity at Public Sector Pension Investment Board. Prior to that, Décary served as vice president of mergers and acquisitions at Aimia. Inc. Décary holds a bachelor's degree in business administration and a graduate diploma in public account from HEC Montréal, as well as a master's degree in finance from the London Business School.